The Unicode 10 consortium has released Unicode 10, and 56 new emoji characters have been added. You will have to wait for a future software update to install all of Unicode 10 on your phone. For iOS users, such an update should probably arrive sometime in the autumn or winter. This new version includes support for languages that are rarely used like Masaram Gondi, Soyombo, Nushu, and Zanabazar. 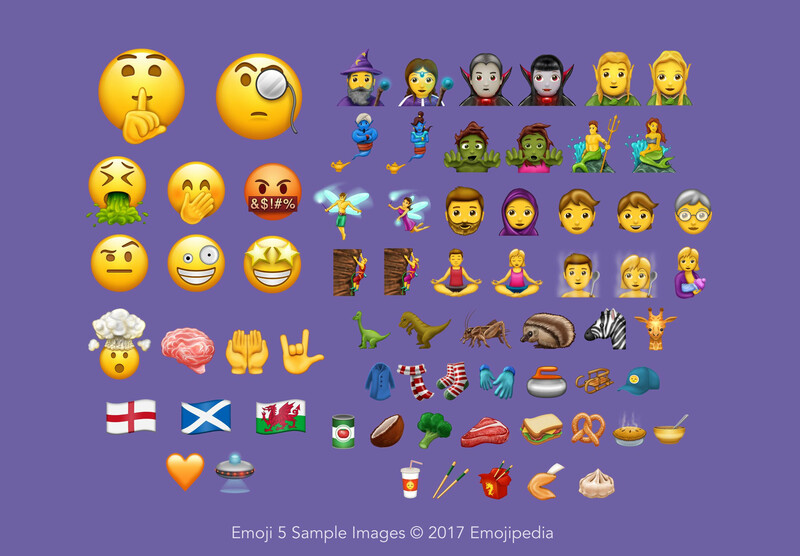 Check out a video from Emojipedia revealing the new emoji characters found in Unicode 10, by clicking on the video at the top of this story. Something something Apple is stupid. Did I do it correctly? Colbert is a talentless D-bag and the Left wing morons that he represents are a cancer to society. Can't wait for his inevitable self-destruction. Go watch Alex Jones and leave. He's concerned the water is "turning the frogs gay!!!" Out of all the people on this planet, you choose someone majority of the world does not know? Who decides these emojis??! It's really just a "people's eyebrow," I don't see how it's specifically tied to Colbert. And considering we already have an emoji for a love hotel, I'm pretty sure nothing is too vague. It's probably because that is an expression he often used in advertising and such, and it's tied to his old character on his previous show. They may be referring to it as such, because if I recall correctly he launched a campaign to have himself included. But I think he was joking at the time. I'm not sure why the raised eyebrows should be tied to Colbert when Dwayne "The Rock" Johnson was known for doing it for many, many years before Colbert came on the scene. True, but Colbert campaigned for it.